Terra cotta stable with prickly pear cactus and latias. 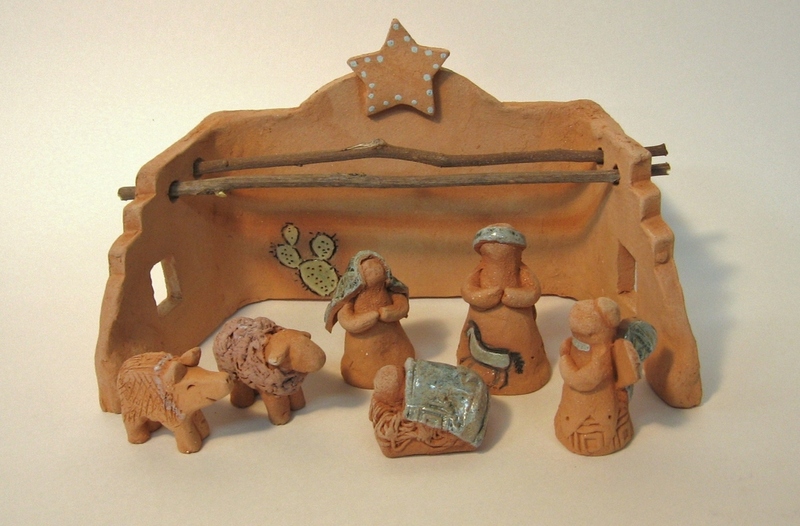 Six terra cotta figures with stamped turquoise glaze: Mary, Joseph, Baby Jesus, Angel, Sheep and of course, a Javelina! Shipping included, and free gift wrapping if requested.